Today I am with an easy breakfast recipe. We make vellayappam with rice batter.Like that we can make it with Aatta/wheat flour. This appam goes well with chicken,beef,egg or any other curries. Let us know how to prepare this yummy breakfast. Take a large mixing bowl.Add all the above ingredients except salt to it. Mix them thoroughly and make a smooth appam batter.If the batter is too thick add little water. Give time to ferment batter. About 5 to 6 hours needed. Add salt to the batter and mix nicely. Heat a non stick appachatti or grease normal iron appachatti with some oil. Slowly pour one large spoon of batter. 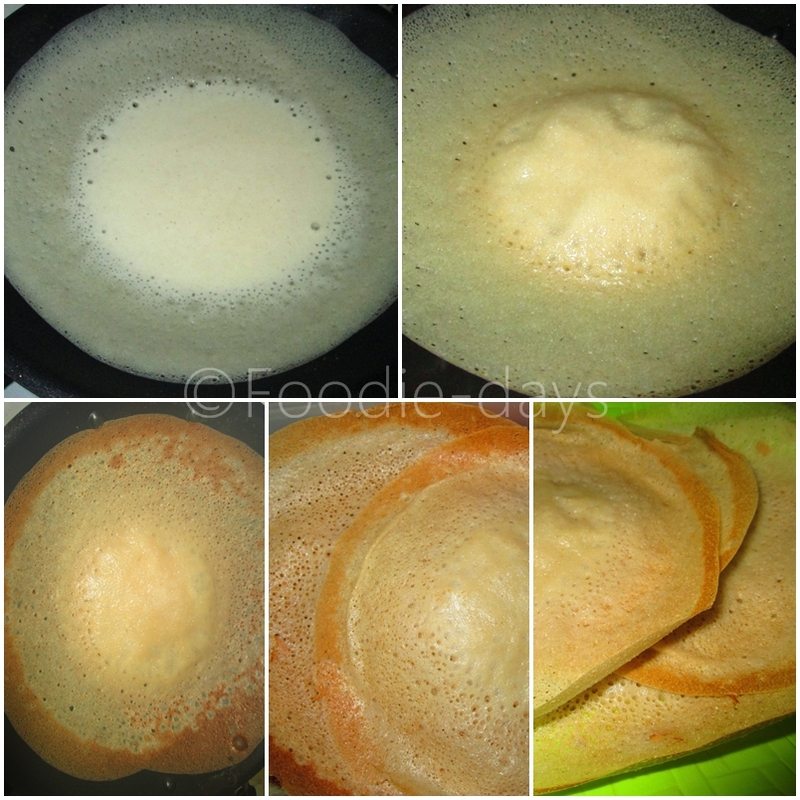 Just give a roundto appachatti and make a round appam which have thinedges and thick centre. Cover with a lid and cook in medium flame until it get cooked and edges become crispy. Appam is ready serve them with beef curry..